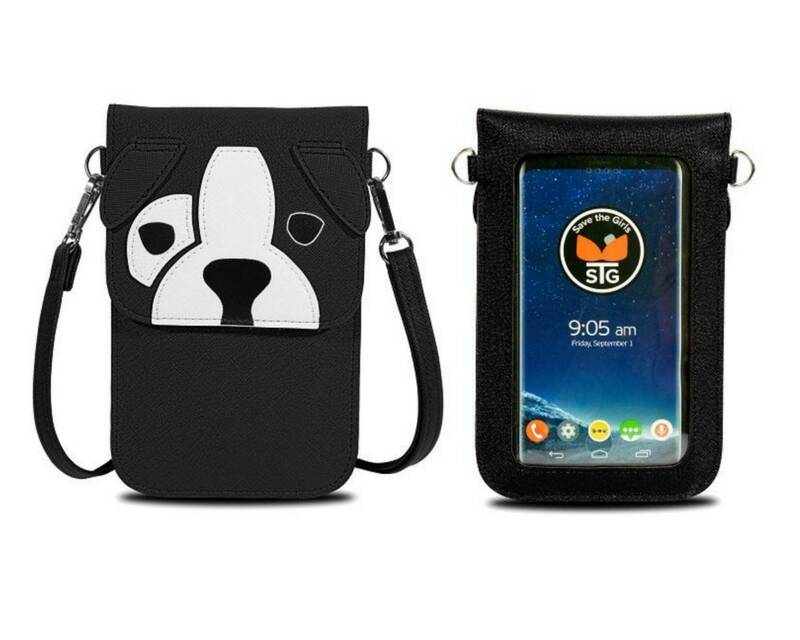 This stylish purse is made from Bicast leather and has a touch-screen vinyl backing that allows you to text, answer your phone and perform other simple Smartphone functions while inside your purse. 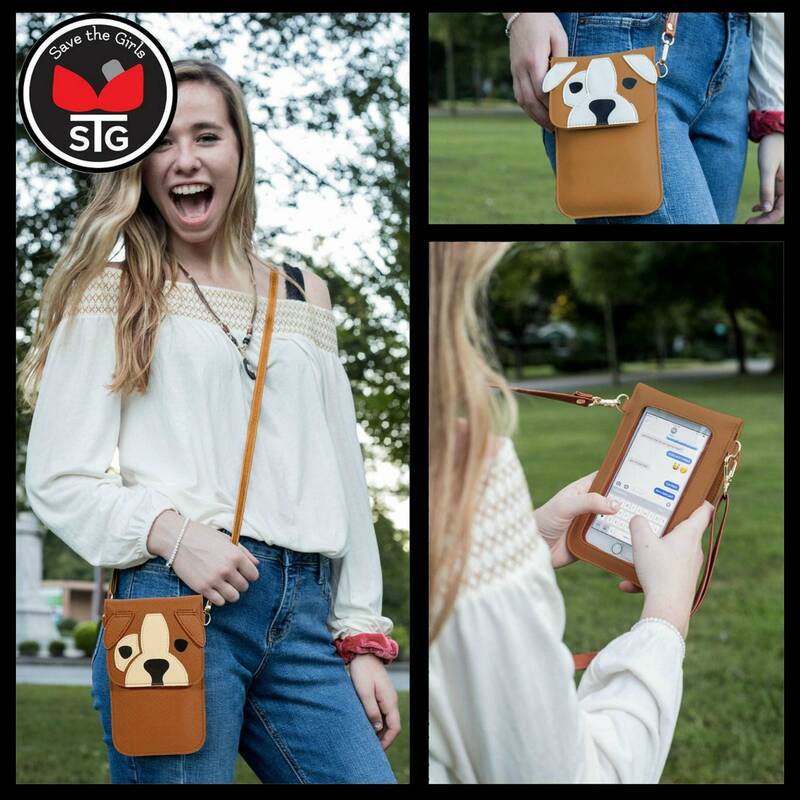 The purse can be worn as a crossbody or traditional style purse. 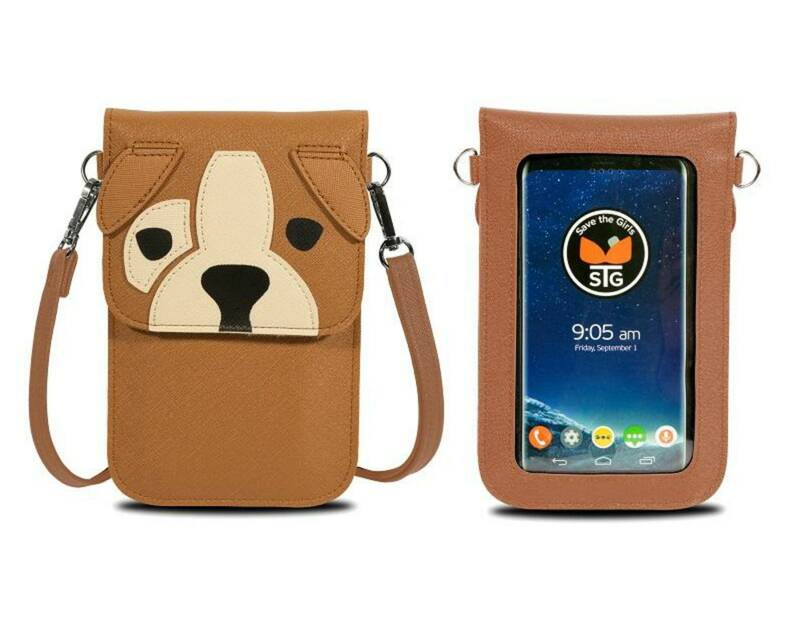 It features a deep pocket and features a brown dog character on the front pouch. A portion of STG proceeds goes to Breast Cancer Research.